Sorry for not posting, but I've had some issues. Well, here I am with breaking news! Stardoll is giving away the known and loved Aurora Dress from Elizabeth and James for free! Personally I think this is extremely unfair to the collectors, but it is also a great opportunity for people, who don't have it. 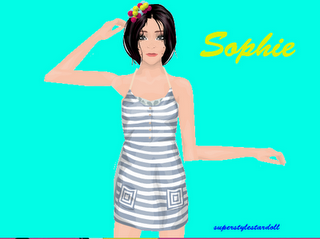 7. log out, leave the proxy and go to Stardoll as usual. It will be in two presents in your suite. NOTE: If you have it or used to have it, you won't get it again.